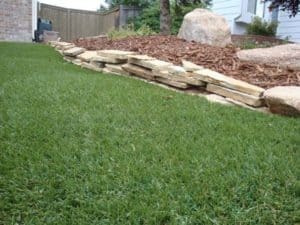 Progreen Artificial grass unlike natural grass does not require water to look good, and the cost benefits of not having to water and deal with lawn maintenance is HUGE! This is especially important for HOAs in the Douglas County and Denver Metro areas who are ultra-aware of the water supply and the importance of water conservation. HOAs will benefit on many levels when they convert their public lawns, parks, and even children’s playground areas over to Progreen Artificial Turf. The monies saved from reducing their water usage will have a deep impact on their budget, giving them the opportunity to use those resources for other priorities. Besides saving money on water usage, artificial grass reduces the maintenance of the turf area, such as; mowing, weeds, dealing with pests and grass diseases. The only areas that will still need maintenance are any surrounding flowers and bushes that they may have. And, if they encourage their residents to consider artificial grass as an option, they too will save time and money on maintenance and water conservation. Part of the reason why Home Owners Associations are moving over to artificial grass is because it has a great look throughout the year no matter what the weather conditions. This is almost impossible to achieve with natural lawns in Colorado. Of course, there may be some areas that it makes sense to keep some of their natural grass is not a problem, both work and look great together. 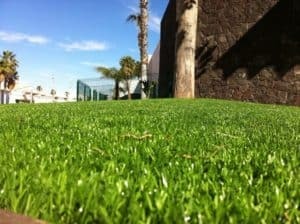 ProGreen ProFlow Turf does not use perforated holes and is completely permeable and increases the drainage capacity of their Artificial grass by 100%. When we install Progreen’s ProFlow Technology Artificial Grass along with their moisture-resistant fibers, you can be assured that your artificial grass will be cleaner, drier, making it great at preventing unpleasant pet odors. Plus, Progreen’s Artificial Grass removes all the problems associated with perforated backings including any clogging that interferes with the drainage effectiveness. And, you don’t have to worry about weeds growing through the perforated drainage holes because there are none. 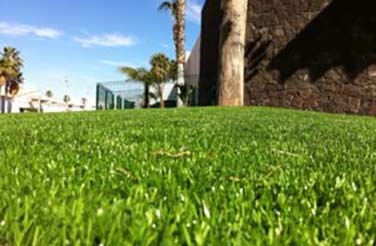 For more details on Progreen’s Proflow Artificial grass Technology, Click Here.